Image courtesy of Laurent Liotardo Photography. The Prima ballerina of English National Ballet, Daria Klimentova, is performing alongside her pas de deux partner, Vadim Muntagirov and the rest of the Company in Sydney until June 17, epitomising the worldwide success of English National Ballet, and the international recognition they will continue to receive in the arrival of new Artistic Director Tamara Rojo in August. Sydney will see Klimentova and Muntagirov perform a fantastic display including the Black Swan pas de deux from Swan Lake. As one of the pointe shoe primas in the twenty-first century, Klimentova is a beacon for English National Ballet, hired by then Artistic Director Derek Deane and partnering Muntagirov for recent years. The now stars of the company were thrown together by current Artistic Director Wayne Eagling, and are now being marketed as today’s Dame Margot Fonteyn and Rudolf Nureyev, the most famous ballet duet in dance history. Fonteyn and Nureyev also had an age gap of 19 years, yet against the odds, both couples have internationally wowed critics and shone to perfection in their respective tutu and dance tights grandeur. Kilimentova’s life, however, does not stop at performing. Each summer she runs a season of international ballet classes in Prague, her hometown. She is in high demand by the Czech National Ballet, which requested her as its own Director three times, turned down each time by Klimentova due to her continuing desire to dance. With English National Ballet Klimentova and Muntagirov are also in high demand as a duo: after their stint in Sydney they will also be visiting Denmark, performing Swan Lake in London, a gala in Mexico, Swan Lake again in Moscow, culminating with a week in Singapore. 2012 alone demonstrates the sheer power of the grace, unity and strength of the Klimentova-Muntagirov partnership, the tiara on the head twenty-first century ballet and the yardstick from which aspiring ballet dancers must extend their technique and performance. A new dance collaboration has been launched by Mass Movement, a London based dance talent agency sourcing and representing some of the best choreographers and dancers in the world, ranging across the board with a number of different specialities and abilities. Their new project group, “The Movement”, encompasses a tight-knit and powerful collaboration of respected industry chorographers and dancers. Each Mass Movement choreographer offers different styles and skills across Modern Commercial, Contemporary, Jazz, Street Dance and Hip Hop, with extensive experience in Artist Creative Direction and New Artist Development contributing also. The works of the choreographers of Mass Movement have been featured in a variety of media, such as music tours and videos, TV specials and commercials, and live corporate events. Self-titled as the UK’s latest dance phenomenon, The Movement hosts 16 remarkable dancers fusing dance disciplines. Aiming to take the dance sector to an entirely new level that has never been seen before, The Movement is operating under the direction of Creative Director Christian Storm and some of the most highly acclaimed choreographers of the industry. Fusing a multitude of dance genres with fantastic skill ranges and talents, The Movement looks set to become a “super group”, creating a remarkable new concept for dance. Whether your interest is “pretty in pink” pointe shoes, the dapper tap shoe or the urban skills of those in dance trainers, Mass Movement is sure to hit the spot. Storm’s enthusiasm for the dance and leotard clan of Laine Theatre Arts where he trained, lead him to open his own talent agency and live event production company, having worked in this capacity for so many of his own performing and choreographic years. Mass Movement ensures that the very best talents and the most elite professional dancers in varying genres are within easy reach of clients. Storm’s choreographic and directive success relies on his unique combination of incredible talent and innovative, creative ideas which are delivered by his personable yet professional nature. Storm is renowned also for instinctively knowing how to achieve the best from the performers and clients he works with, instilling confidence that Mass Movement is able to deliver with style. The Dance WE Made, presented by Big Dance 2012 and Sadler’s Wells, is a unique interactive pop-up dance project taking place at locations across London throughout June and July 2012, as part of the London 2012 Cultural Olympiad’s Big Dance programme. The project will be staged at 20 iconic London landmarks over a 20 day period, in which members of the public will be invited to devise some of their own original choreography – leotards, sweat bands and leg warmers optional! The Dance WE Made is being produced in collaboration with professional dancer and choreographer Tim Casson who studied at the BRIT school and Bird College, before joining the Jasmin Vardimon Company as an apprentice through London Contemporary Dance School. Casson became a full member of the company after a year of work, going on to complete his MA in Contemporary Dance and adding a wealth of commercial and contemporary experience to his already over-flowing CV. For The Dance WE Made, each London location will see four to eight people have the chance to work with Casson resulting in the creation of a unique two minute dance piece, requiring no previous dance or choreographic experience from participants. Whether you tend to sport dancewear, jazz sneakers, or just everyday clothes, The Dance WE Made is the opportunity to discuss creative ideas, creating movement from boundless inspiration and see your piece performed and showcased by Casson in each location, which will be filmed and posted online on www.thedancewemade.co.uk and other social networking and video sharing websites. Each of the two minute segments will be combined to create a single dance solo for Casson, which will set a new world record for the largest number of choreographers contributing to a single dance work. Being part of the creative process looks set to be challenging but completely rewarding, creating the extraordinary from the ordinary. A month-long season of 10 works by the late German choreographer Pina Bausch is being presented by the Barbican and Sadler’s Wells until July 9 2012, each work aiming to explore a different world city. Tanztheater Wuppertal began with controversy, with Bausch appointed as director of dance for the Wuppertal theatres in 1973. She developed a specific dance form as part of her role as a mixture of dance and theatre, which was at first, wholly unfamiliar. With her dancers speaking and singing, in addition to performing dance, Bausch’s work succeeded in establishing itself as a unique venture. Unlike the many twirling tutus and pristine pointe shoes seen on stages today, Bausch’s work in the early years sowed the seeds for a dance revolution which eventually redefined modern dance throughout the world. This certain strand of dance theatre became its own genre, separating itself from the stomping tap shoes and jazz shoes of chorus lines dominating many Western stages. Choreographers of both theatrical and classical backgrounds were inspired to create, which spelled global success for Bausch’s work, always surrounding a “universal need”: love, intimacy and emotional security. Accordingly, Bausch developed an artistic form which was able to incorporate highly diverse cultural influences, investigating what brings humans closer to fulfilling these universal needs, and the factors which distance them. Her research continues to generate experiences and memories in her audiences, with “moving images of inner landscapes, exploring the precise state of human feelings while never giving up hope that the longing for love can one day be met”. 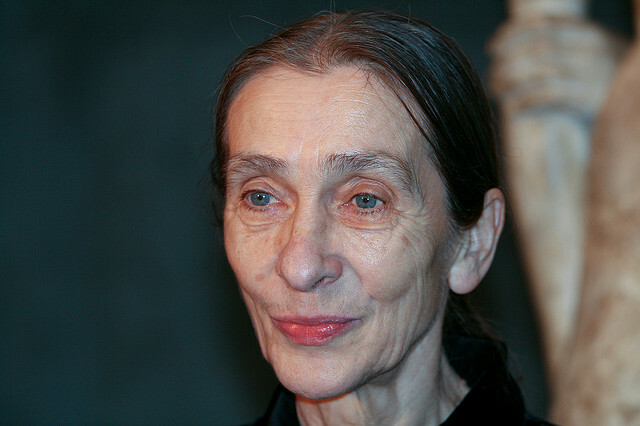 A close engagement with reality is an additional key aspect of Bausch’s work, having resided within each creation over the 36 years of her career until her death in 2009, shaping the work of the Tanztheater Wuppertal considerably. Image courtesy of Duisburger Philharmoniker at Flickr. Dance In The Making is the name of a two-day seminar programme in the 14th and 15th of July, focused around the theme of choreography by and with young people, open to tutu twirling aspiring ballerinas, bare-footed contemporaries, and every young dancer experiencing the dance sector today. Combining industry professionals and young people from the UK and overseas in discussion, Dance In The Making is to be hosted by Chris Thomson, Director of Creative Teaching and Learning at The Place, and Linda Jasper, Director of Youth Dance England. The talks will delve into questions on the “best” choreographic practice, be it for waerers of pointe shoes, tap shoes or any other dance shoes. The programme will also focus on the importance of young people understanding choreographic process, industry professionals’ experiences of working with young people and the greatest methods of how to support and ensure the stable futures of young people and their choreographies. So many dance courses in the twenty-first century now offer a choreography-heavy strand within their modules, with many choreographic platforms and graduate companies or apprenticeships also emerging. Speakers at Dance In The Making, in partnership with The Place, will include young professional choreographers such as James Cousins, who has launched a successful choreographic career through graduate transition companies, professional companies such as Matthew Bourne’s New Adventures, and is now creating his own company. Other guest speakers include professional choreographers who work with young people, such as Kerry Nicholls and Katie Green, and an international perspective is added through their French colleagues Brigitte Hyon and Agnes Bretel from the Centre National de la Danse. The £35 day ticket includes a ticket to one of U.Dance 2012’s high-profile evening performances in Southbank Centre’s Royal Festival Hall. In 1972 choreographer Bonnie Bird created the first generation of the Transitions Dance Company, the first course of its type in the UK to bridge the gap between studying dance and the professional world. With many dance schools and conservatoires surfacing throughout the twentieth and twenty-first centuries, observations are often made about the number of graduate dance students attempting to find work in the professional sector of the arts as a whole. However, Transitions – amongst other “bridging” companies such as the London Contemporary Dance School’s EDge – provides aspiring young performers with the opportunity to break into the work-success cycle of the dance world. 40 years, 250 students, and 100s of guest choreographers later, the latest incarnation of Transitions will return to the Laban Theatre on 7th-9th June 2012 with a special anniversary performance which is set to celebrate the inspiring work of the company for individuals embarking on the first stages of their careers. A far cry from the newly worked pointe shoes of ballet academies or New Yorkers of musical theatre conservatoires, Transitions is renowned for the bare footed, leotard-clad approach, showcasing the future stars of contemporary dance. Eleven of the best young dancers from across the world will perform a mixed bill of choreography as part of the anniversary performance by three international artists. One, Hubert Essakow, has worked in German Tanztheater, another, Martin Nachbar, who is an ex-soloist from The Royal Ballet and the last, Shang Chi Sun, is a choreographer whose work The Others had a successful debut with last year’s company. The dancers of the company have a solid reputation of individuality and passionate enthusiasm, transforming the Transitions tour into an unmissable event. With dance in the twenty-first century collaborating left,right and centre with artists, musicians and film-makers, the most recent partnering seen in the dance sector is that of The Royal Ballet and a new brand of cosmetics, developed with the Company and consequently used by them. Gone, it seems, are the days when blisters and sore toes were danced on repeatedly, as today the dance industry is developing increasingly unique ranges of care products for sore feet… from pointe shoes, to muscle balm for tap shoe enthusiasts. The new Royal Ballet body care range, sold by Dance Direct, has been developed as a high performance collection in order to meet the needs of hard working bodies. Alongside leotards and microfiber dance tights, the new specifically designed body care range includes body conditioner moisturiser which works to improve the fitness, tone and elasticity of the skin, also helping to combat cellulite. Additional products in the range are a cooling muscle gel which is said to have excellent moisturising and anti-microbial properties, and an intensive hand and foot cream, which has a high concentration of moisturiser to help strengthen cuticles and nails,which can often take a bruising from excessive work in pointe shoes. With so much else to worry about as a dancer, this new body care range seems set to cover all your skin and ffoott concerns for the rest of your dancing career! The latest advancement in “dancewear” has now hit the market, and looks set to take the dance world by storm, following in the footsteps of the leotard ranges and cover-ups verging on the fashion runways of mainstream retail, and vice versa. To mark the momentous occasion of the Diamond Jubilee of Her Majesty Queen Elizabeth II, The Royal Ballet School’s White Lodge Museum is presenting a programme of public events to celebrate the rich heritage of the tutus and tiaras of the prestigious White Lodge alumni, which has been the home of the Royal Ballet School since 1995. The events will include Let Everyone Sing and Dance, a concert of 18th century ballet music by composers such as Bach and Handel, due to be held in the Salon at White Lodge on 3rd May. A far cry from the practice tights and regulation leotards that usually populate White Lodge, this very special celebration is to marry the arts in a unique and utterly memorable event in extra-special surroundings. An evening of illustrated talks entitled Adorning nature: beauty and utility in Humphry Repton’s garden for White Lodge is also to be included on 7th June, adding to the variety of interests celebrated over the period. With so many varied yet thematically simultaneous events, the Diamond Jubilee celebrations at White Lodge appear to be the epitome of the English population, and indeed Her Majesty Queen Elizabeth II. 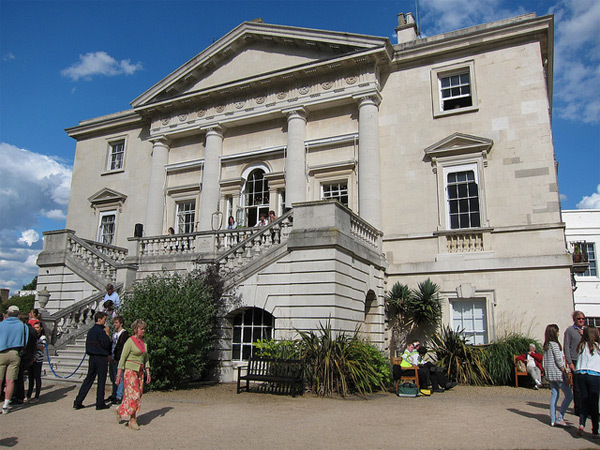 9th June will see in a Diamond Jubilee Open Day where members of the public are invited to visit White Lodge to enjoy a mixture of royal-theme activities, whilst residing in such an artistic and equally aesthetic environment. The day includes a guided tour of the premises and the chance to take part in historical dance workshops in the garden. Whilst visitors may not be the next Darcey Bussell wielding their pointe shoes and new toe pads, the event is set to be fun-filled and glorious. Image courtesy of sela-v at Flickr. Having opened on 26th May, The Royal Ballet are presenting a three performance stint at the Royal Opera House, with a mixed programme of George Balanchine’s Ballo Della Regina and August Bournonville’s La Sylphide. The sparkling Balanchine work is set to the ballet music which honours the Queen of Spain in Verdi’s opera Don Carlos, marrying opera and classical ballet in an invigorating and inspiring masterpiece. Balanchine’s exquisite choreography, having choreographed for several Verdi operas at the start of his career, showcases fancy footwork, leaps and turns. The production’s zesty energy lifts audiences’ spirits, with dancers costumed in white and chiffon blue dresses. A superb curtain raiser, the immaculate technique of the dancers is sure to succeed, staged in 2012 by Merrill Ashley who brought the production to The Royal Ballet in 2011. In Balanchine’s original 1978 production, he was specifically inspired by Ashley’s warm yet bold technique for which he created the work, in a powerful combination of strength and delicacy. La Sylphide sees principal Steven McRae make his debut in Bournonville’s romantic and truly magical fairytale as James the Scotsman, who falls passionately in love with a Sylph. In a flock of romantic tutus and each matching pointe shoe, the artists of The Royal Ballet are taking on a classic piece of ballet history, with Bournonville’s adaptation of the ballet first premiered in 1836 (Filippo Taglioni’s original version premiered in 1832). The uniquely delicate choreography is captured in 2012 by Danish choreographer Johan Kobborg, staging the love of a mortal for an elusive spirit, and the impossibility of this. 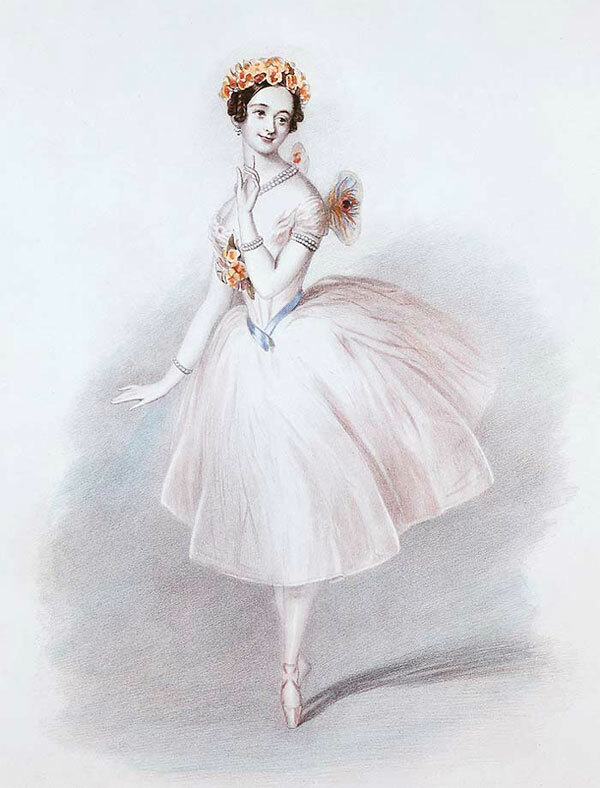 Evoked by traditional folk songs in Herman Løvenskiold’s score, the original 1832 La Sylphide was created to showcase the technique of Taglioni’s daughter Marie, one of the great 19th century ballerinas of the Romantic era. Bournonville was the first choreographer to recreate the magical narrative of La Sylphide in the marrying of the folk and the ethereal, and it is his version that has survived. It has been regularly performed by the Royal Danish Ballet since its premiere. 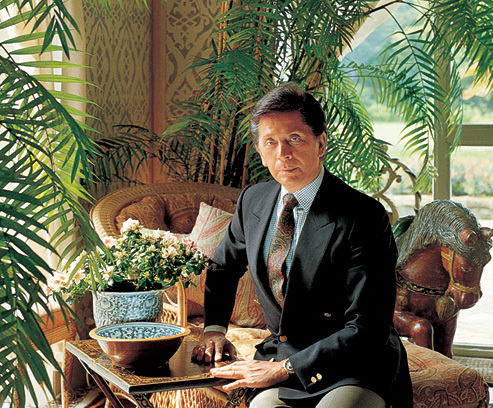 Italian designer Valentino Garavani is making his New York City Ballet comeback, set to design all the costumes for the opening of next season’s programme, a far cry from practice tights and cover-ups. Garavani will be travelling back and forth to the Big Apple from Italy to prepare the costumes of the show, ready for an exhibition which will open in London in November which will be completely dedicated to his fashion and works. At 80 years old, Garavani has much time to enjoy his huge art collection, but it has also led to him taking some time out to work for a ballet company, one of his lifelong passions. Simultaneously, the ballet world will also be privy to passionate work: both sectors complementing each other with the tutus set to dazzle the fall opening. Garavani’s return to the fashion, and consequently, artistic spotlight via the NYCB is speculated to “wow” audiences with his collection of ballet costumes, paired with the perfect pointe shoes of the impeccable company. The instatement of fashion with ballet is not a new venture within the dance sector, however. Earlier in 2012, English National Ballet’s Beyond Ballet Russes programme saw a new leotard clad Firebird choreographed by young British hopeful George Williamson in his first commission, utilising costumes designed by David Bamber, who has designed for many of the world’s leading fashion houses including Gucci and Tom Ford. Additionally within the programme, Apollo‘s various costumes – such as the Muses’ layered white dresses – were designed by Karl Lagerfeld, creative director of Chanel. Chanel has a long association with ballet, with Coco Chanel herself having designed costumes for both Le Train Bleu in 1924 and the original costumes for Apollo (originally Apollon musagète) in 1929. With a long historic association of fashion with ballet, it is any wonder which direction new collaborations will take.